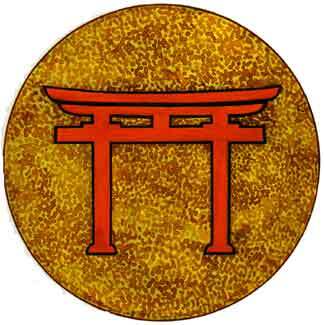 The 10 Shinto religion was tied to the national identity and monarchy of Japan. 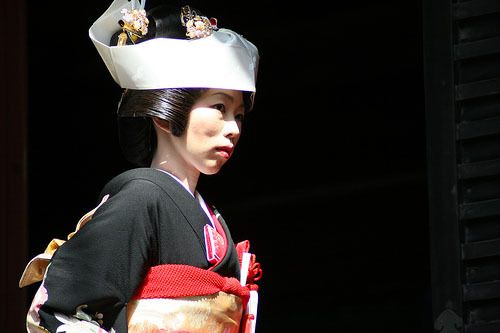 The story of Japan's origin and the 9 descent of the emperor Jimmu Tenno from the sun goddess Amaterasu plays a determining role in the religion. 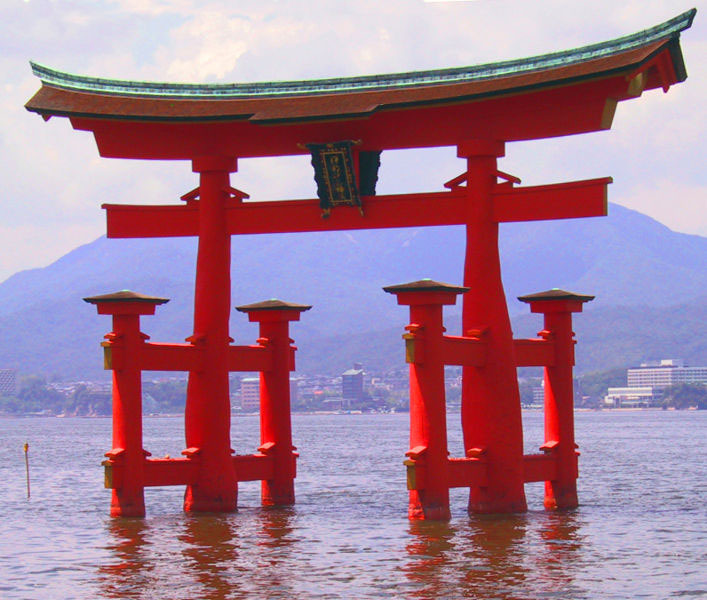 Ancestor worship, along with the worship of innumerable deities (kami)�primarily clan divinities and spirits of nature�is the most important element of Shinto. 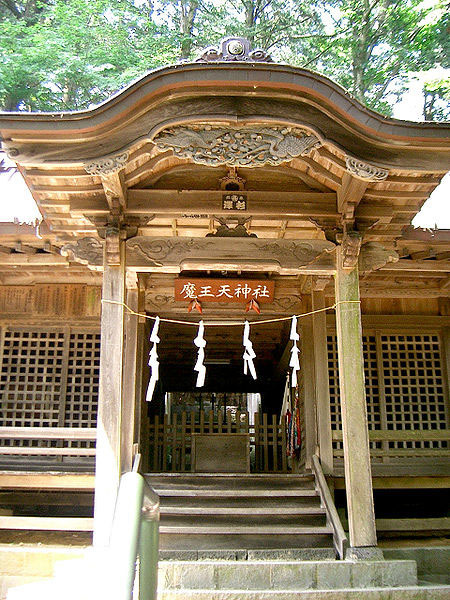 The values and behavioral forms transmitted by the Shinto belief system characterize many of the traditions of Japanese society. 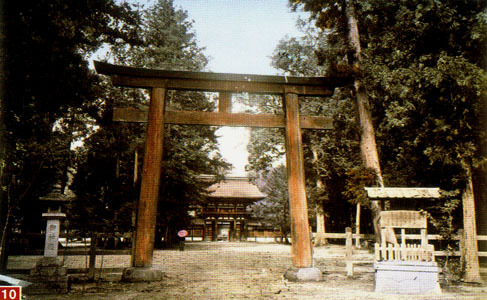 When Buddhism reached Japan, the two belief systems became closely intertwined, and both continue to coexist to this day. 1. 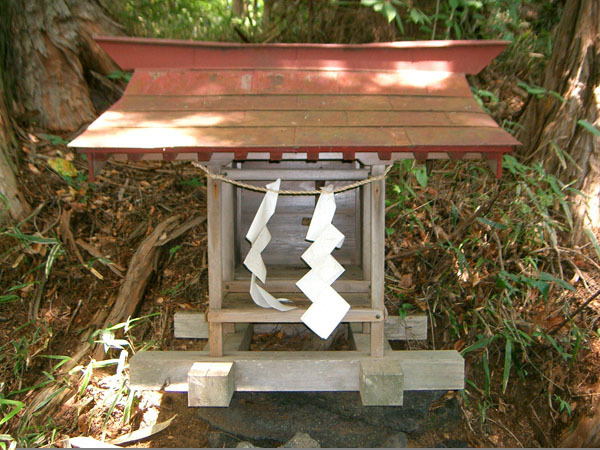 Purification rites (harae)�commonly held at a corner of the shrine precincts before participants come into the shrine but sometimes held within the shrine before beginning a ceremony. 2. Adoration�the chief priest and all the congregation bow to the altar. 4. Presentation of food offerings�rice, sake wine, rice cakes, fish, seaweed, vegetables, salt, water, etc., are offered but animal meat is not, because of the taboo on shedding blood in the sacred area. In the past cooked food was usually offered to kami, but nowadays uncooked food is more often used. In accordance with this change, the idea of entertaining kami changed to that of thanksgiving. 5. 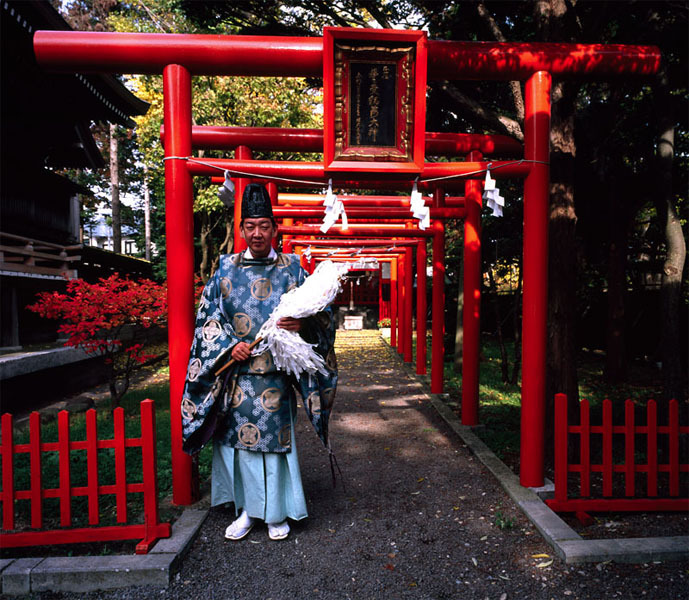 Prayer�the chief priest recites prayers (norito) modeled on ancient Shintō prayers. These prayers were compiled in the early 10th century and were based on the old belief that spoken words had spiritual potency. 7. 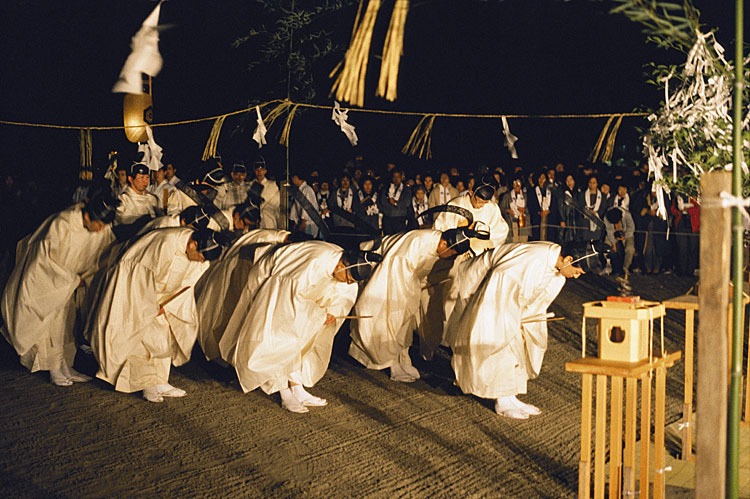 General offering�participants in the festival make symbolic offerings using little branches of the evergreen sacred tree to which strips of white paper are tied.